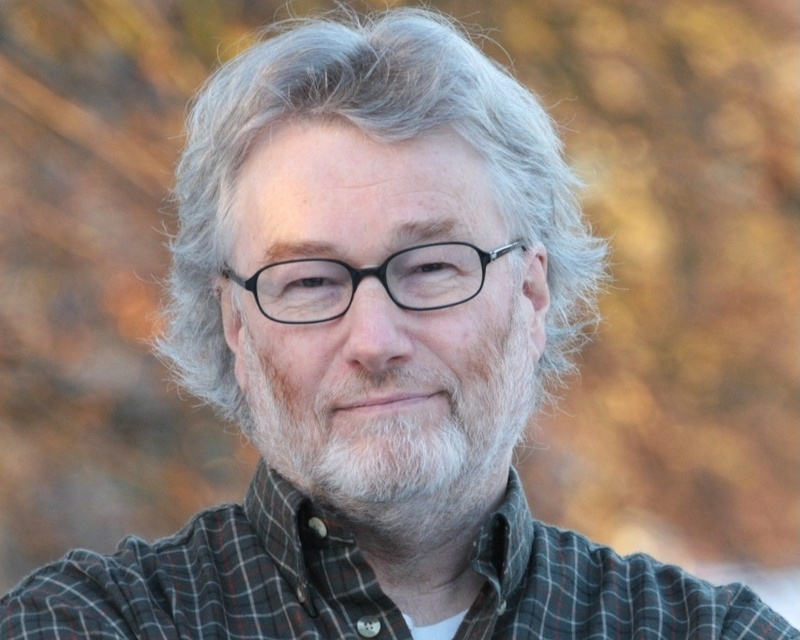 Book News: Iain Banks, Genre-Defying Author, Dies : The Two-Way Also: U.S. Poet Laureate Natasha Trethewey to be given second term; the best books coming out this week. Scottish novelist Iain Banks wrote science fiction under the name Iain M. Banks, and mainstream fiction under the name Iain Banks. The Scottish novelist Iain Banks died on Sunday, according to his publisher. He wrote science fiction under the name Iain M. Banks, and mainstream fiction under the name Iain Banks, prompting The Telegraph to name him "two of our finest writers." The author Neil Gaiman wrote in a blog post about Banks' death that "his work was mordant, surreal, and fiercely intelligent." Banks, 59, announced that he had inoperable cancer on his personal blog in April: "The bottom line, now, I'm afraid, is that as a late-stage gall bladder cancer patient, I'm expected to live for 'several months' and it's extremely unlikely I'll live beyond a year." His last book, The Quarry, (written by Iain Banks, sans M) is set to be released in the U.S. on June 25, and is narrated by a teenager whose father is dying of cancer. Notes on a Scandal author Zoë Heller considers the literary critic Janet Malcolm for The New York Review of Books: "Mess has always inspired fervent emotions in Janet Malcolm. It agitates her. It depresses her. She considers it her enemy. The job of a writer, she likes to remind us, is to vanquish mess — to wade onto the seething porch of actuality, pick out a few elements with which to make a story, and consign the rest to the garbage dump." Oprah frenemy and bespectacled Great American Novelist Jonathan Franzen makes an unexpected cameo in a New York Magazine article about the competing animal rights lobbies for birds and cats. According to Franzen, who is a board member of the American Bird Conservancy, "The bird community's position is, we need to get rid of the feral cats, and that means cats must die." Cats. Must. Die. Ben Jahn, a writer and winner of a National Endowment for the Arts grant, won Round 11 of NPR's Three Minute Fiction Contest, judged by Swamplandia! author Karen Russell. She told NPR's Guy Raz, "Ben Jahn's use of language, the specificity of his details, just blew me away. It was indelible and unforgettable and really chilling." Hanan al-Shaykh's One Thousand and One Nights is a vivid retelling of 19 of the classic stories of Scheherazade. Al-Shaykh spoke with NPR's Rachel Martin: "I fell in love with [Scheherazade] because I thought she was the first feminist. Second, because she was a philosopher, an artist, a writer and she was trying through literature to humanize the king and men around her." Mary Gaitskill's ferociously intelligent foreward is also not to be missed. Although Roberto Bolaño's novels have enjoyed a burst of popularity in the decade since his death, his poetry (his preferred medium) is still little known in the U.S. The Unknown University, a bilingual edition of his complete poetry lovingly translated by Laura Healy, attempts to fill this gap. Read a poem from the collection over at The New York Review of Books: "But dreams, oblivious to sickness, / showed up every night / with a loyalty that came to surprise him."